To many who walk down Bruce Grove, Tottenham, number 7 probably just looks like yet another old Georgian building under threat from development. Yet, if you look closely, the blue plaque says that the Grade II listed building was once the home of Luke Howard, ‘namer of clouds’. The once grand Georgian villa was given permission to be developed over two years ago yet the developer has so far failed to begin the conversion. The building has since fallen into an alarming state of disrepair. A petition has been set up to pressure the developer to take action before the fabric of the facade is lost forever. 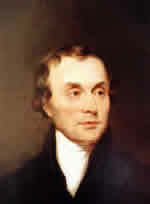 Howard’s system of naming clouds is still in use today and his studies of the capital’s climate, using observations made at Tottenham and his former home in Plaistow, contributed immensely to our understanding of the urban heat island effect. In terms of significance, Number 7 Bruce Grove is up there with 62, Camden Square, NW1, where George Symons pioneered the scientific study of rainfall, setting up the British Rainfall Organisation. Too much of old London has already been lost. By reminding Redwing Estates of the importance of this small corner of Tottenham we might just help stop Howard’s former home going the same way as his Plaistow abode that was demolished to make way for an ambulance depot decades ago. 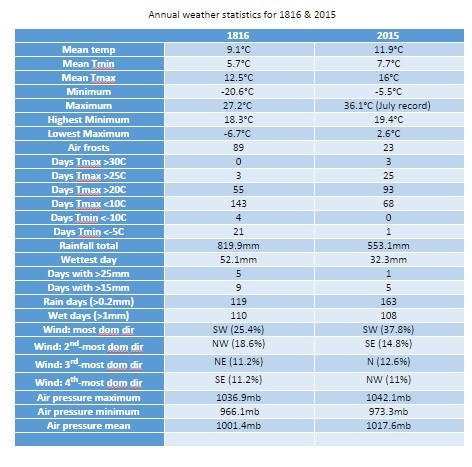 December 2015 was a ridiculously warm month, the mildest on record in my local series going back to 1797. The mean temperature of 10.9C is 5.3C above the average for the first winter month and breaks the previous record set in 1974 by an increadible 2.2C. 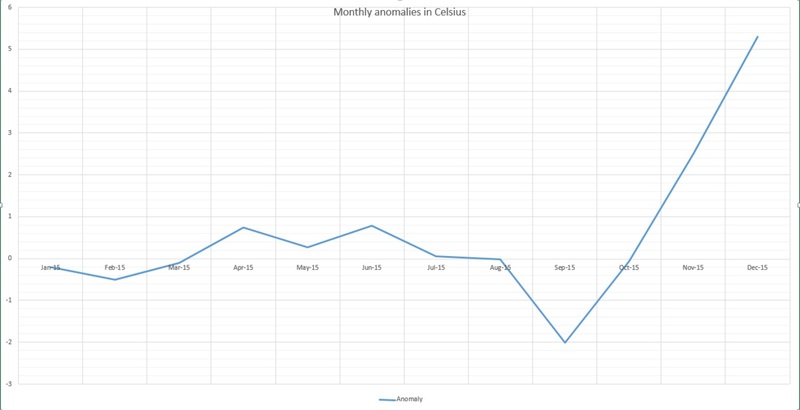 Indeed the month was warmer than what was a very mild November and was air frost free. Sunshine was below average: 34.6hrs (86% of average) was the lowest total recorded since 2010, another December that was as exceptionally cold as this month was mild. Rainfall was more run-of-the-mill: 44mm fell during the month: that’s 83% of average. The warmest day occurred on the 19th with 16.3C recorded, the second warmest December day in my daily record going back to 1959 – the record fell short by just 0.1C. Other daily records were broken including for daily mean temperature: 14.3C on Boxing Day smashed the previous record set on December 4th 1985 by 0.4C. 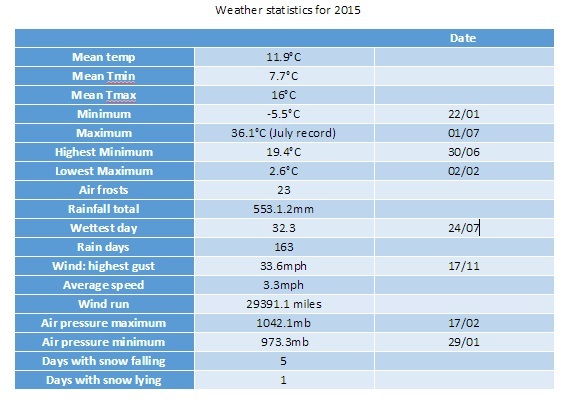 This day also saw the highest daily minimum for December recorded: 13.5C. It was also the warmest Christmas Day on record in a series going back beyond 1852. The lowest temperature occurred on the 8th when the mercury fell to 2.4C. The wettest day was on the 3oth when 5.9mm of rain fell. There were only three completely dry days during the month. Thanks to the synoptic situation this area thankfully escaped the awful flooding which affected the north of England and Scotland. What has January got in store weatherwise? The models today (January 1st) suggest that low pressure will continue to pile into the UK from the west on quite southerly latitudes over the next week with some colder air infiltrating into the east and north of the UK from Europe with rain at times for our area. From that point on most output suggests largely unsettled weather continuing until the end of the two week period though there is a hint that high pressure may try to edge up from the SW or west later with less wind and rain but still mild. Because of the exceptionally mild December there are virtually no figures I can work with to try to estimate January – but I’ll have a crack anyway, using figures that were at least 1C above the 1981-2010 December average. A mean of about 5.2C with 59mm of rain, both around average. The highest probability is for average temps at 33% probability. Interestingly something ‘very cold’ comes in at the same probability. Rather mild and rather cold come in at 16% probability. I emphasise that even at such low probability my confidence is even lower. My December outlook for temperature was way off – there was no chance shown of anything ‘very mild’. 1st: A few spots of rain after deluge overnight then cloudy. 2nd: Cloudy to start, some sun mid morning before it clouded over with two spots of rain. Mild overnight. 3rd: Cloudy start with little brightness all day. Rain moving in at 7.15pm and intermittent into the evening, clearing later with temp falling from midnight. 4th: Sunny, clear start, tending to cloud over at 11am with limited brightness. 5th Cloudy and windy all day – the wind peaking at 9pm but remaining fresh through the night. 6th: Cloudy and dull most of the day. 7th: Cloudy start with some light drizzle mid morning. 8th: Dull, drizzly start with steadier bursts. Heavy rain as front cleared through at 2pm. Evening and overnight much colder than of late. 9th: Sunny start, clouded over afternoon. 10th Cloudy start and through the day. Rain spreading in in the evening, clearing by midnight. 11th: Cloudy through the day until 2pm when a narrow band of rain passed through then dry and feeling cooler. 12th: Cloudy start with some drizzle around 10am. 13th: Cloudy and drizzly to start then just cloudy. 14th: Cloudy start with some brightness at noon. Cloudy into the afternoon with some drizzle overnight. 15th: Cloudy and dull. Rain later in the evening. 16th: Cloudy with two sunny intervals then cloudy with odd drizzle. 17th: Cloudy with odd brightness then rain at 5pm. 19th: Bright and breezy start. 20th: Dull start with heavy rain at 3.40pm. Then cloudy but clear by morning. 21st: Sunny start but quickly clouded over with rain. 22nd: Dull start with patchy drizzle up to 11.30am. More rain later with squall at 8pm. 23rd: Sunny start with cloud moving in then sunny spells. 24th: Sunny start quickly turned cloudy with heavy rain around noon, clearing to sunny spells. 25th: Cloudy start with light rain spreading in at 10.10am. Cloudy rest of afternoon with temperature climbing through the day for record warm Christmas day. Temp didn’t fall below 14C all night. 26th: Cloudy and warm all day. Temp fell to just 13.9C though the day then rose again to give the warmest December night on record, and also warmest December mean. 27th: Dull with brief burst of drizzle early then breezy and very mild. Clearer overnight and cooler than of late. Sunny start with pink clouds am. 28th: Sunny start with just a few cirrus. Mostly sunny through the day. 29th: Sunny start with brief heavy shower at 10.05am. Then sunny intervals.